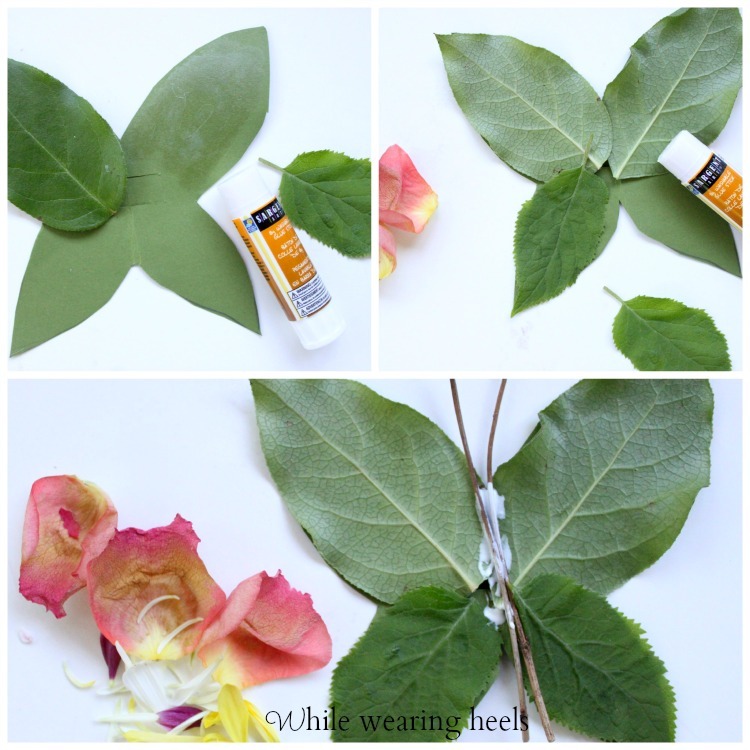 Butterfly and nature lovers are sure to love this fun and easy craft. 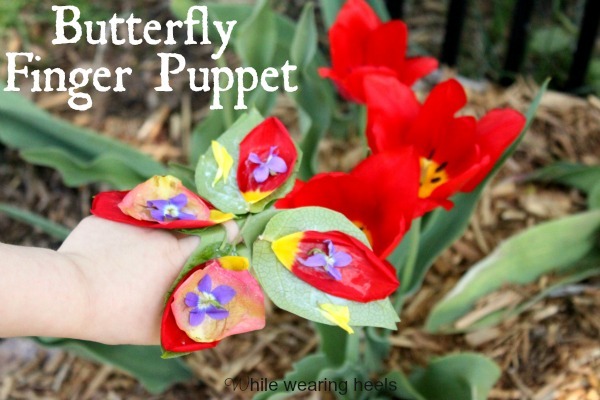 Want to make some butterflies of your own? 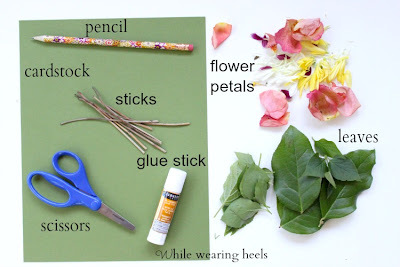 Simply gather the following supplies: green cardstock, a pencil, twigs, scissors, glue stick, flower petals (collect wildflowers, petals from your garden or, if you are lucky enough to have gotten a bouquet of flowers use those) and leaves. First, arrange the leaves on green cardstock, in sort of a butterfly shape. Trace around your leaves and cut your butterfly out of the cardstock. 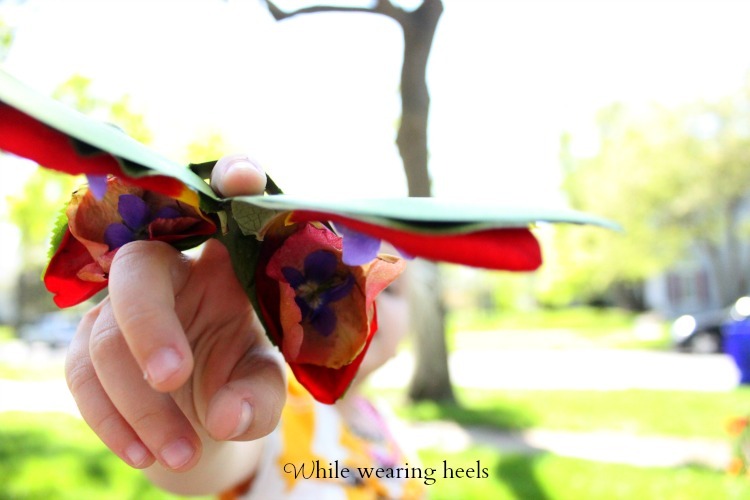 Fold the butterfly in half. Cut 2 lines into the center, creating a loop to place your finger inside. 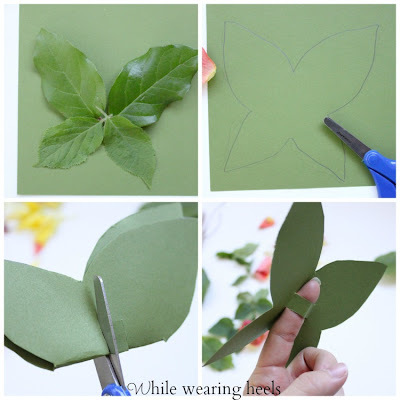 Then, using a glue stick, generously apply glue to the leaves and firmly press onto the butterfly shape cutout. *Optional: Attach some twigs to the center of your butterfly. Next...and this is where it gets fun, using flower petals, begin to decorate the butterfly's wings. Again, secure them into place using your glue stick. Grace used petals of some tulips we grew, wildflowers that popped up in our yard and rose petals (because this was one of those occasions I had received a bouquet of flowers). and have fun making it flutter around. 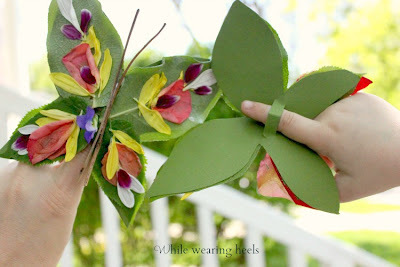 So next time you are looking for a fun craft to do with the kids, try making one of these flower and leave butterflies. Sadly, these butterflies don't last for long. Make sure to enjoy them while you can. Now this is just too cute! That is just so fun, you're too clever! Cute! I could do this at school! Thinking this has got to happen over here, my girls would love this. Great idea. That is absolutely adorable!!! I can see these butterflies decorating a summer wreath as well. So fun! Oh, how wonderful. Thank you so much! So cool and fun! I love it. Oh Elena, this is so much fun to do. Grace enjoyed making the butterflies as much as she did playing with them after. Amy...that is so cute, not to mention fun? How did you come up with these ideas???!! Amy what an adorable idea! I love the nature elements. You my friend are amazing. Great idea! I love the idea of using nature. Thank you! These are so awesome!! 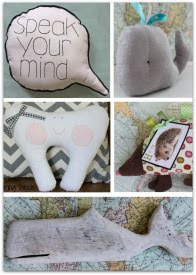 My little girl would adore making these. I would love for you to come and share these at our Much Ado About Monday link party. Plus, as an added bonus, we are having a great giveaway. Hi Amy, this is so sweet! I love your floral butterflies and the adorable girl! Thanks for sharing great tutorial! Can't think of a better finger puppet. Flower fairies would love this. Its pinned. What a wonderful comment. Thank you so much Tammy! Oh this is such a fun summer project, and a great way to use up all the flowers and plants my daughter seems to collect on our nature walks! She just loves butterflies! 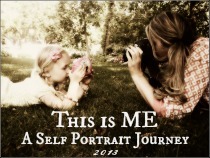 Stop on over & link this project at our SUPER SUNDAY Link Party, our readers will enjoy also! Omg - so cute!!!! Pinning for Summer!!!! I know I've already commented, but it was fun to see this again! 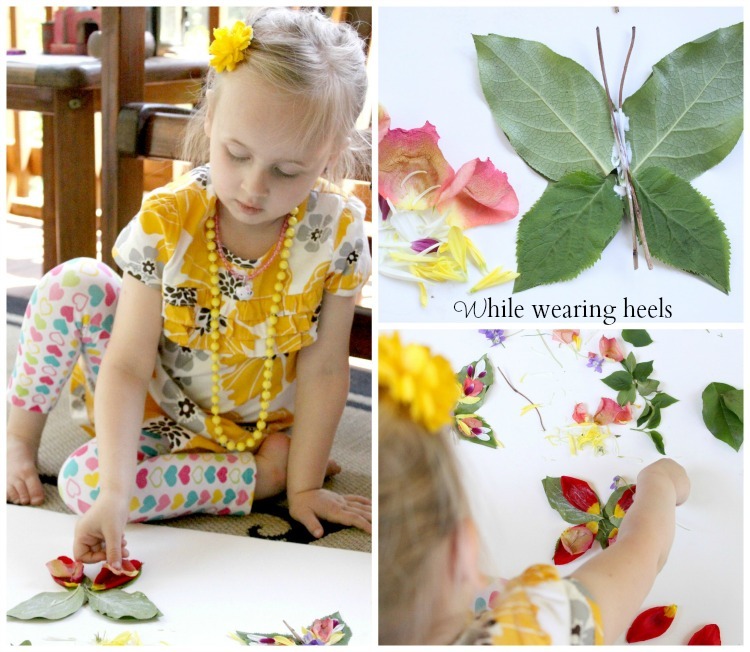 Thank you for sharing this at the Inspiration Cafe's Bloomin Marvelous Link party! I love that you used natural materials, it makes it extra special I think. I'll be featuring it on The Crafty Crow!